The holidays are a time to provide the important people in our lives with tokens of appreciation. As families crunch their holiday budgets, theres one person they should remember to place on the gift list: their nanny! To help families prepare for the forthcoming holiday season, Care.com has created an interactive Nanny Holiday Bonus Guide with average rates in all 50 U.S. states. According to a November 2013 Care.com poll of almost 600 families, 60% give their nanny a monetary holiday bonus and 31% give a non-monetary gift, while 9% give nothing at all. 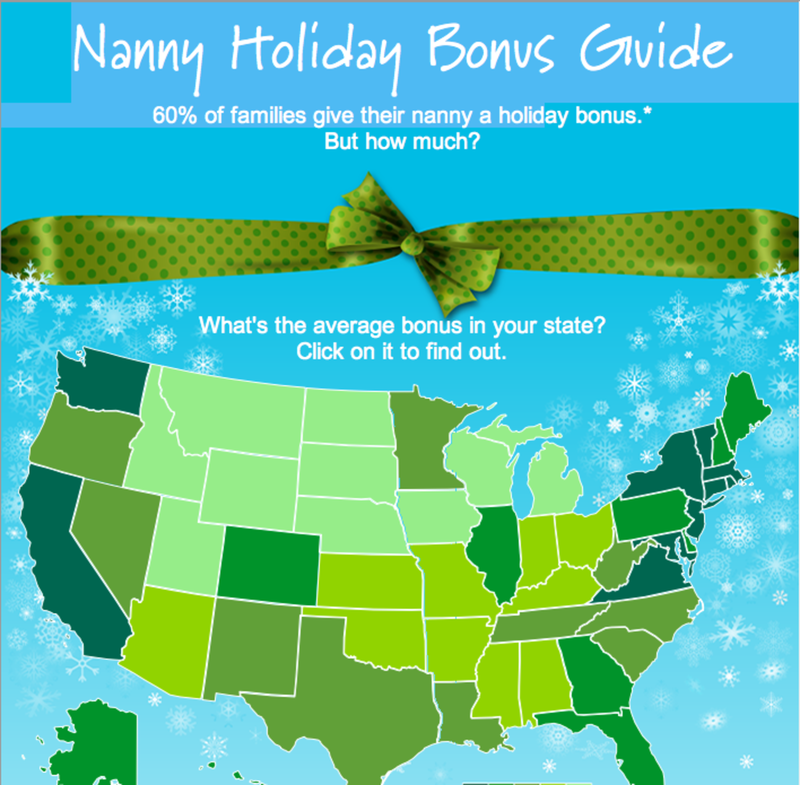 For families unsure of the appropriate amount to give, Care.coms Nanny Holiday Bonus Guide calculates the average holiday bonus for nannies across the country based on data about pay rates per state. Massachusetts currently tops the bonus list, with bonuses averaging between $575 and $1150, followed closely by Connecticut, New York and California. Most families give a holiday bonus that equals between one and two weeks pay but the size of the bonus can vary based on several other factors such as whether you live in a major city or rural area, how long your nanny has been with you, and your budget. Most importantly, experts agree how the bonus is calculated should remain consistent year after year to manage expectations and avoid confusion. For families who cant afford a holiday bonus, a meaningful gift is a great alternative. For more information about Care.coms Nanny Holiday Bonus Guide, visit http://care.com/nanny-bonus.